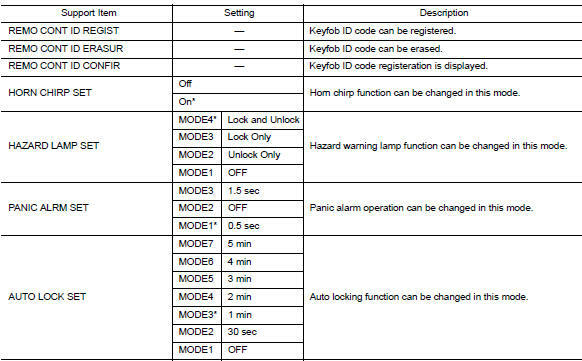 The bcm part number is displayed. 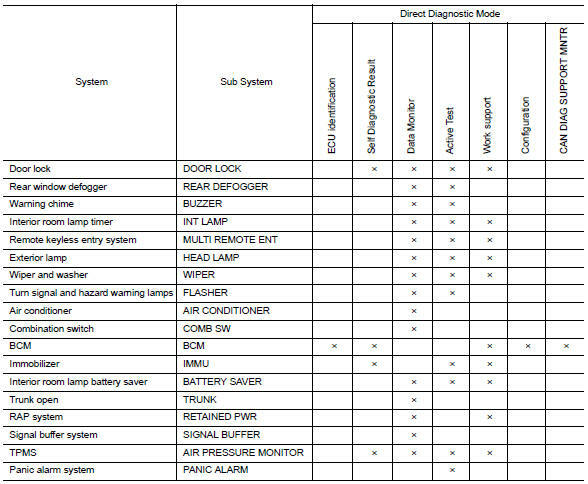 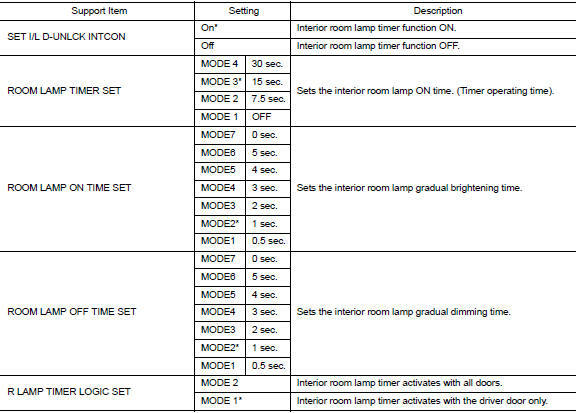 Refer to bcs-116, "configuration (bcm) : description". 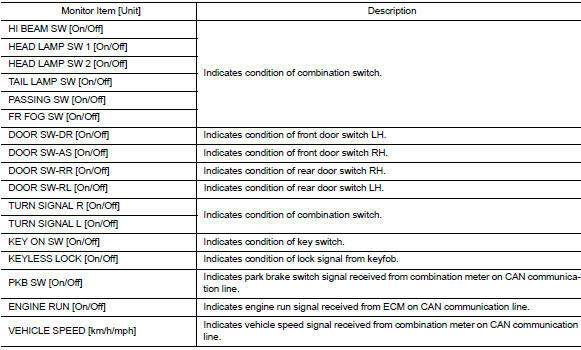 BRAKE SW [On/Off] Indicates condition of stop lamp switch signal received from ABS actuator and electric unit (control unit) on CAN communication line.